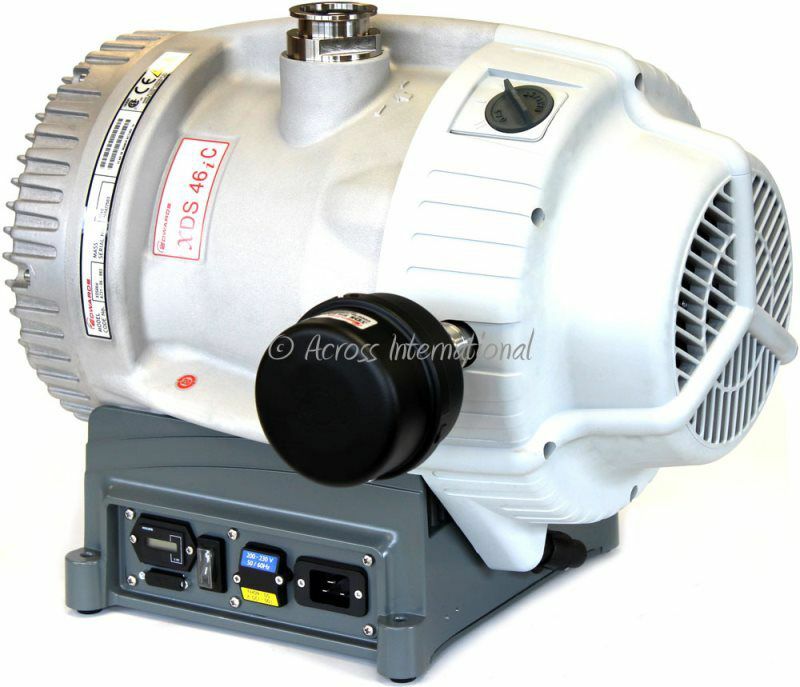 The nXDS6iC is up to 20 times quieter than other pumps. Its intelligent control functions and up to five year service interval offer low cost of ownership, making it the small dry pump of choice for today’s most advanced technologies. Free KF25 flexible stainless steel bellow (3.3 ft), clamps and centering rings ($219 value) included. Technical support and one year warranty covered by Edwards. The nXDS20iC is up to 20 times quieter than other pumps. Its intelligent control functions and up to five year service interval offer low cost of ownership, making it the small dry pump of choice for today’s most advanced technologies. Edwards nXDS20i replaces the discontinued XDS20. Edwards made many big improvements, including chemical-resistant (C model), much longer service life, easier maintenance and better efficiency, to name just a few. 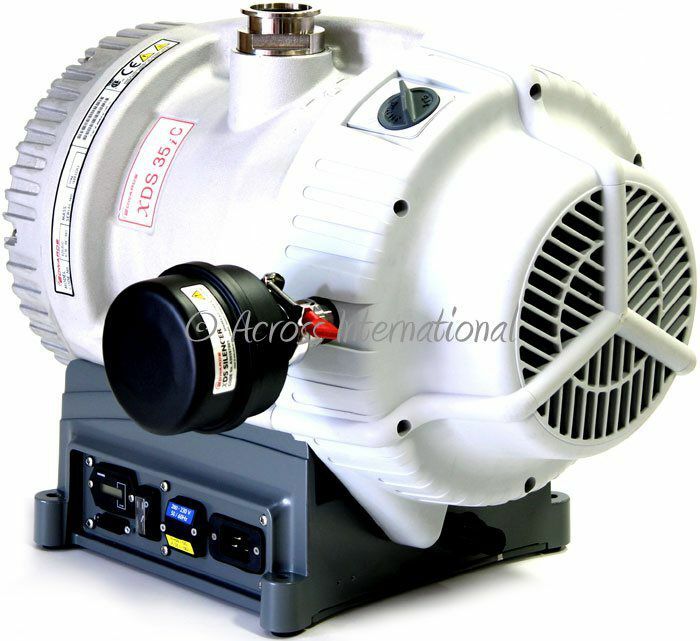 The Edwards nXDS20i and nXDS20iC pumps are truly dry vacuum pumps as all the bearings, with their hydrocarbon lubricant, are isolated from the vacuum space. The nXDS20i is the next generation in completely oil free, dry scroll pumps and replaces the XDS10. nXDS improves on legacy XDS pumps by offering increased pumping speeds, combined with lower ultimate pressures, lower power consumption and lower noise. Gas ballast allows for pumping of condensable vapors including, water, solvents, dilute acids and bases. nXDS pumps also feature the latest in tip seal technology giving significantly longer life between tip seal changes. Integrated inverter drive with auto sensing voltage input delivers optimized pumping performance globally. nXDS pumps are designed to be completely field serviceable. Supplied with NW25 clamp, centering ring and ‘O’ ring, NW25 to 3/4 inch BSP adaptor. The MF30 is suitable for E2M28 pumps. It is very efficient at 99.85% DOP test. You can monitor the oil level through the sight-glass provided. Supplied with NW25 elbow, NW25 clamp, NW25 to 3/4 inch BSP adapter and NW25 Co-Seal. 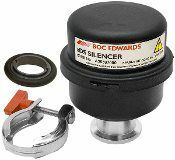 Edwards vacuum exhaust silencer for nXDS6i, nXDS10i and nXDS15i dry scroll pumps when they are not connected to a house exhaust system. These silencers also offer exhaust filtration.